Cycling during the week is a rare but happy occasion. This week we’ve had family over including our lovely cousin Amber, a fellow blogger. Although she doesn’t blog about life on two wheels she is a huge supporter of me getting out and writing about life and bikes. So with some words of encouragement, on Thursday I took the opportunity of a bike ride. I thought it would be a good chance to cycle my triathlon route. The theory behind this is that if I tackle it now it won’t be a huge, looming unknown entity I will worry about during training. The route starts in Wilmslow, Cheshire. 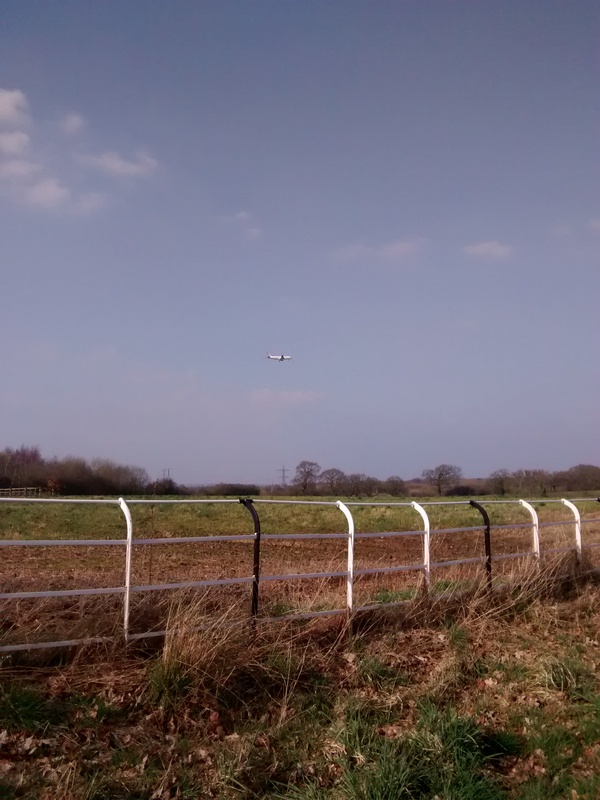 It heads out towards Manchester Airport, passing through the airport runway tunnels.You then head out towards the village of Ashley, before hitting the village of Mobberley, near Knutsford. 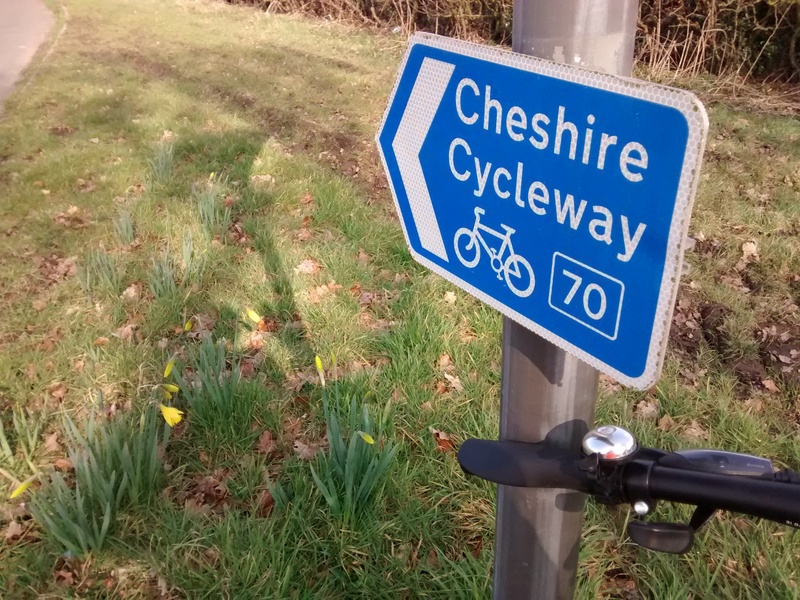 Then the route sets back along a main road towards Wilmslow again. One of my favourite views across the fields. 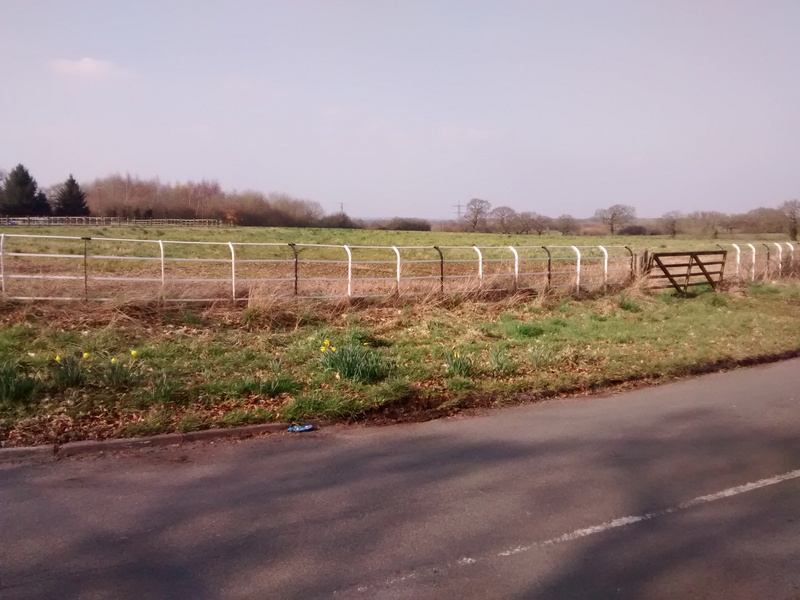 It’s 25km in total, with only one real climb, where the road dips from the A538 towards Ashley. When I say ‘dips’ it feels like a mountain to me. This ride was a mixed bag physically. It hurt my legs from the start; I felt I was dragging myself round the course. They were tired and getting up the climb left me breathless and having to rest at the top. Although, after chatting about this I am not alone in finding this hill hard work. Generally, as a rule I stay in the saddle on climbs; I’d much rather opt for the snail pace and keep spinning, rather than wobbling around and pumping my legs out of the seat. To me, it just feels more comfortable. 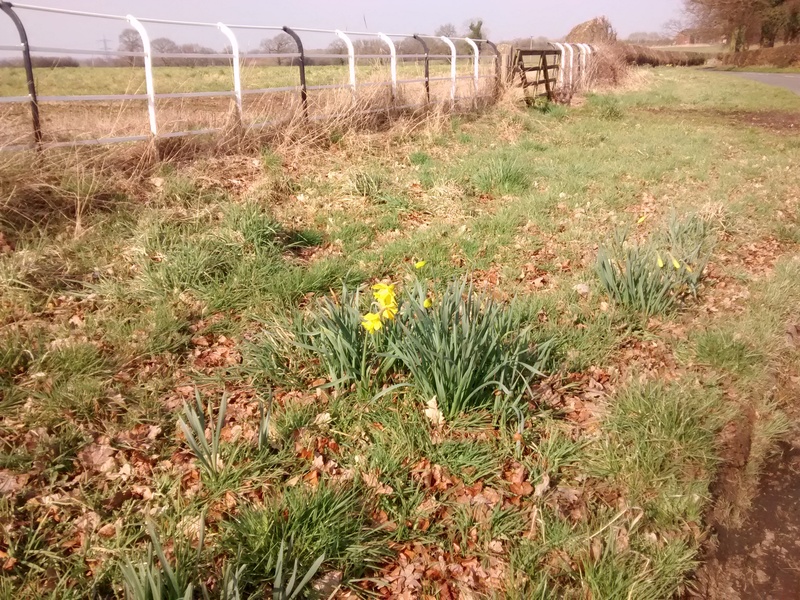 First daffodils- spring has sprung! The rest of the way my legs felt like tired beasts, which would rather be at home curled up on a sofa. Not one to give in, I worked hard with a mantra in my head: ‘take away, take away, take away’ – the promise of Chinese food that night kept me pedalling. It was only once I got home, stretched and thought about my unwilling legs that I realised I had not treated food as fuel. Trying to ride off the back of a coffee for breakfast and bowl of broccoli soup lunch does not work. Note to self, always fuel your body for what you are about to do. So, learning from my mistake on Thursday, meant today I was fuelled sufficiently to go and do another 25km. A bowl of porridge with a sprinkling of seeds and raisins was perfect. I felt completely different, with a lot more energy and I don’t feel knackered post-ride, like I did earlier in the week. I’ve had to learn that about food too. Even after 20 years of riding, I still sometimes screw that up. More often, though, I mess up on my water intake and then get cramps. Nothing like finding you have no power in your legs. No fun at all! Dan – I suffer from cramps too. It’s often a lack of salt, so now I take a small salty snack with me on rides and avoid it completely! There are the daffodils! So lovely.